The Neo Glamour Collection of hairstyles by Austria's BUNDY BUNDY team of stylists is a tribute to those style elements that make for a glamorous look. Whether sleek, smooth and structured, or voluminous and flowing, these styles can let every woman look like the star she longs to be. The creative minds of BUNDY BUNDY use combinations of color, texture and wave to give new life (and new glamour) to some classic looks. This Bundy Bundy collection of hairstyles is called "Aquarius" and showcases the elements of that sign in all its forms. 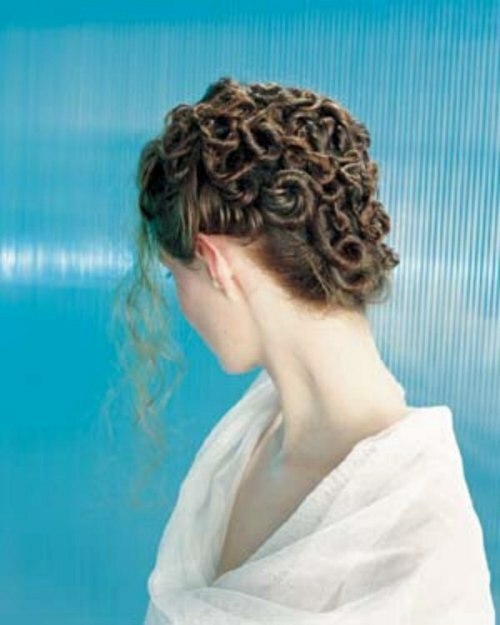 Using cool colors, rippling waves or flowing streams to create alluring classic looks with a modern edge. Austria's Bundy-Bundy team brings us a collection of modern, edgy hairstyles for the livelier side of life. Combining bold shapes with texture, sharp lines and vibrant color, these styles show energy and a playful side of a woman's personality. The looks build on basic cuts and add modern elements to create up-to-date styles.